This fruit cake recipe from Nathan Outlaw is of the type Britain does so well. Here it is made elegant with chewy dried figs and crunchy hazelnuts, while light ale enhances the flavour and the rise. 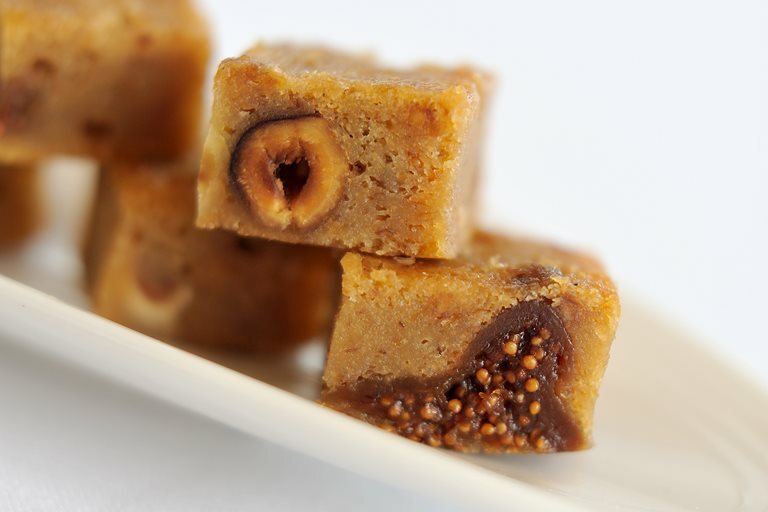 The technique used is unusual for a fig recipe as most of the soaked fruits are puréed in a food processor before mixing into the batter. Serve this in cubes as petit fours or cut into larger slices for morning or afternoon tea.